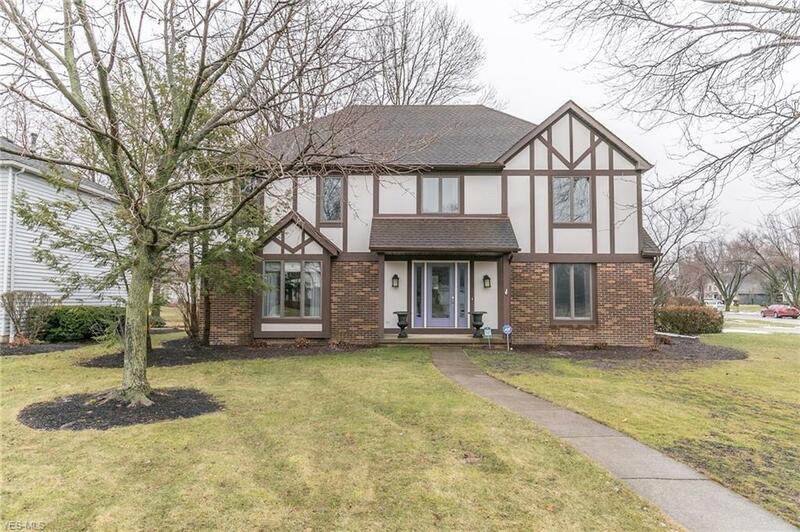 Meticulously cared for Colonial in beautiful Westlake. First floor underwent a complete "to the studs" remodel, including new insulation in 2011, to give this spectacular home a stunning open floor plan with crown molding throughout. Love to cook? The gourmet kitchen is amazing, with granite, 41 x 64 center island/breakfast bar, pantry, room for a large dinner table and sliders to the deck. SS appliances come with, including a professional chef's range with exhaust hood. The vaulted great room, open to the kitchen, is spacious and comfy with a WBF. The living and dining room complete the first floor. Onto the second floor featuring a fabulous master with a beautifully remodeled bath that includes double vanities, tiled shower, updated lighting and 2 WIC. Other bedrooms are spacious as well with plenty of closet space. Upstairs flooring, including steps, has all been replaced in the last 2 years. Some windows have been replaced with Anderson. Additional highlights to this wonderful home include, first floor laundry that doubles as a mudroom with a nook for coats, boots and backpacks! Roof with 30 yr warranty, tankless HWT 2017, new carpet and paint in lower level, exterior of home was professionally painted in 2015, landscaping and trees trimmed professionally in 2018. This home is truly a must see! !